Small children can eat! 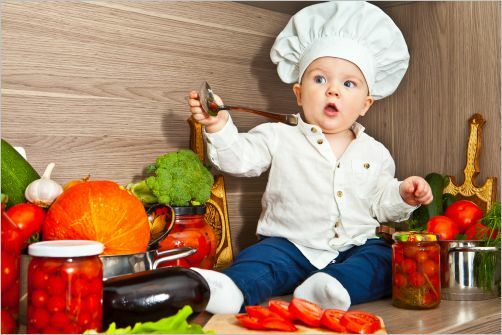 Baby and toddler recipes can come in handy for the little munchsters...lol:0) It is important to have some key ingredients on hand for small children. It is amazing how you can make quick nutritious meals and make even vegetables appear yummy. More importantly your kids will love them. My ultimate goal of this page is so that as Moms we could "swap" recipes. At the bottom of this page we are going to post baby and toddler recipes. I think that we have so much information to share with other Moms! So be sure to enter your recipe below, and help us all out! For babies it is important at the age of six months to start them out with vegetables. The sweetness of fruits can be strong and they are less likely to want vegetables. So when feeding your baby, remember to always begin with the vegetables. I will have a list of some vegies and fruits suggestions below. These are good just to eat alone or else thrown into some awesome recipes. Lentils...Very soft cooked (cook 1 cup in 1 1/2 cups of broth or water 25-45 minutes. My son Loved these as a baby! At the next meal, use these measurements exactly and see for yourself. You will be shocked to see how little food a Toddler should actually be eating. I think we get "caught up" into thinking that our little ones have to eat a certain amount. I was pleasantly surprised when I learned these statistics. Children actually grow more slowly after the age of 12 months. So their caloric needs are less then that of a newborn. Don't worry if they do not eat all of their dinner. Remember that you can make up for it with their snack! on. Snack time is the best opportunity to make up for calcium and other important proteins missed at meals. Do not worry about your Toddler suddenly eating "like the family" does. Remember, your Toddler is still in a stage of slow-then-rapid-then-slow growth and is going through many changes. Toddlers are in a category all of their own. Toddlers really need to graze all day. That is why it is important to keep easy sources of quick energy on hand. "To pack" or "on the go" of course. It is important to remember soft foods and small bites to minimize choking hazards, promote toddler safety. Don't be alarmed when your toddler begins to snub vegies at this age. This gives you the best opportunity to sneak them in whenever you can! Hence this is the importance of great baby and toddler recipes...:0)The process is your toddler learning to eat healthy and nutritious. Even if they do not realize it at the time. What I really wanted to accomplish by creating this page was to have a platform where we could share! There are so many baby and toddler recipes. I know that some of you Moms and Dads are holding on to some great ones! Please share with me and my visitors. Click below to share your recipes with us. 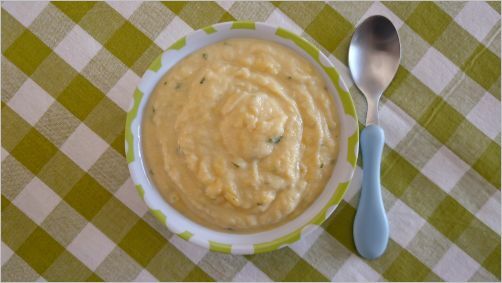 Have A Great Baby or Toddler Recipe to share?